Eagle Valley High School's EVTV crew is a national finalist for the National Scholastic Press Associationâs Pacemaker Award. GYPSUM — Tackling First Amendment issues and reporting from Colorado’s capitol were just small bits of the work that attracted a national scholastic press group’s attention to a local high school news crew. 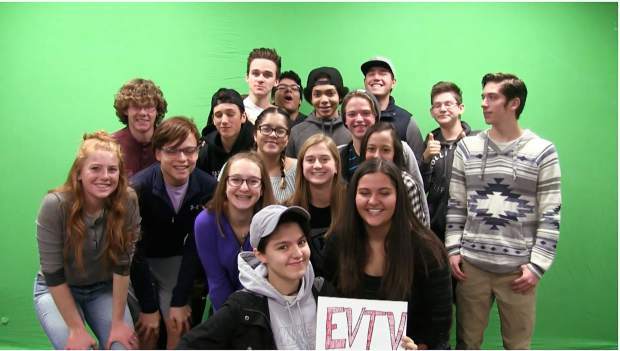 Eagle Valley High School’s EVTV crew is one of 15 finalists from around the country for the National Scholastic Press Association’s Pacemaker Award. “It’s the scholastic Pulitzer Prize,” said Hannah Shapiro, EVTV’s faculty sponsor. Being a finalist is good. Winning would be better, but it won’t change the way they work, Shapiro said. Last fall during the 2016 election, a Battle Mountain High School alum and Colorado Mountain College student found himself in the political crosshairs for destroying Donald Trump campaign signs. He was caught, and as punishment, he had to write a letter of apology to the Vail Daily and wave a Trump campaign sign on a street corner. The EVTV crew did an in-depth story, investigating whether it was vandalism or freedom of expression protected by the First Amendment, and included it in the package that made them national finalists. They’re not just learning to tell stories, but to tell all sides of a story. “When I first thought about doing this piece, I instantly thought about just getting (the student’s) side on it and how his actions were justified. That was the original plan for me simply because of who I am and what I believe in,” EVTV reporter Alondra Escobar told the magazine “Mentoring Matters”. They don’t shy away from local issues, either. They did a biting story investigating why Eagle Valley’s homecoming costs more than Battle Mountain’s, especially when Battle Mountain holds their homecoming in a local hotel and Eagle Valley’s is in the school’s cafeteria. People move on, people move up, and stories need telling. Natalie Marner was an associate producer last year and this year stepped up as a producer. So did Xochilt Villasenor. Escobar has been a reporter since the program started two years ago. 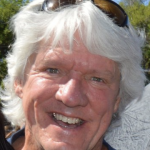 Felton was the producer last year and went on to college at the University of Northern Colorado. “We enter as many competitions as we can. Not all competitions give good feedback, but most do. And it’s fun to win,” Felton said during a phone call between classes at UNC. The program’s list of Colorado state awards is long and distinguished. There’s a Fearless Reporting award for reporting on the First Amendment. Another award saw them under the golden dome at the Colorado state capitol. The Pacemaker Award is their first foray into the national arena. “We figured we had nothing to lose, so we entered,” Shapiro said. The notification showed up while Shapiro was teaching a class of freshmen who had no idea what it was, or that it was a huge deal. It was, Shapiro said, a teachable moment. They understand it now. The National Scholastic Press Association Pacemaker award started in the 1920s. The broadcasting category was added in 1996. The 15 Pacemaker finalists included 14 high schools and one middle school representing eight states. Winners will be announced at the Journalism Education Association/National Scholastic Press Association Fall National High School Journalism Convention, Nov. 16-19, in Dallas.